The history of streetwear dates back to the 1970s — a relaxed, low-key approach to the everyday denim and T-shirt look. 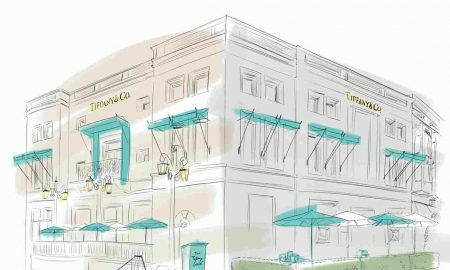 The fashion trend was revolutionized in 2016 when high-end powerhouses like Louis Vuitton and Gucci started to incorporate streetwear and athleisure pieces into their ready-to-wear collections. 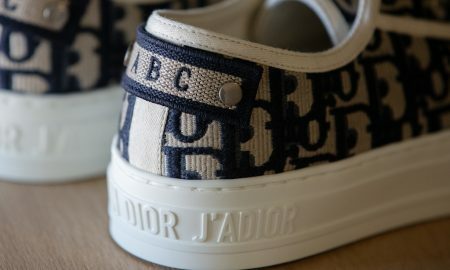 Now, streetwear styles are more high-key than ever with vibrant colors and patterns, eye-catching accessories and one-of-a-kind shoes that allow the ultimate trendsetter man to express his personality through his every day look. 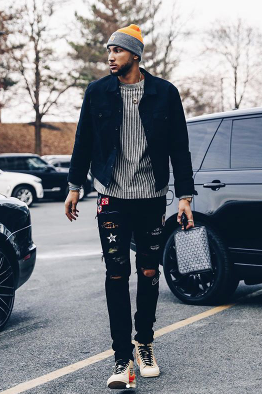 Whether you’re en route to a sporting event, lunch meeting, getting ready to hit the trendiest bar in your area or running errands, here are the 4 streetwear styles you should be rocking this season. Everyone knows an outfit is not complete without a stylish pair of sunglasses. 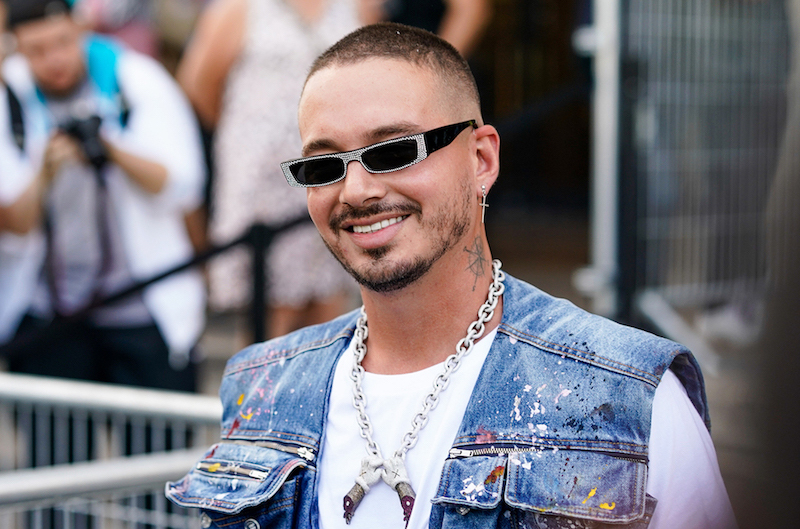 Whether you’re into aviators, an oversized oval shape, retro round glasses or tiny sunglasses a la J Balvin style, stand out from the crowd with a pair of killer shades. The man purse is in and there’s no indication it’s going anywhere any time soon. 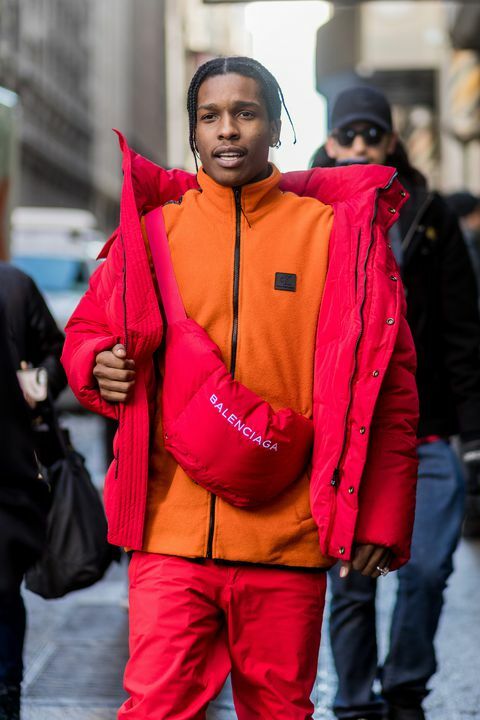 From athletes like Odell Beckham Jr. to trendsetting musicians like A$AP Rocky, more and more celebrities who have declared streetwear their go-to fashion style have been seen carrying the latest in the fanny pack trends from Balenciaga to Gucci. As this season’s Fashion Week kicked off in Tokyo with star-studded shows, Louis Vuitton’s Mens collection featured an array of eye-catching colors and patterns. 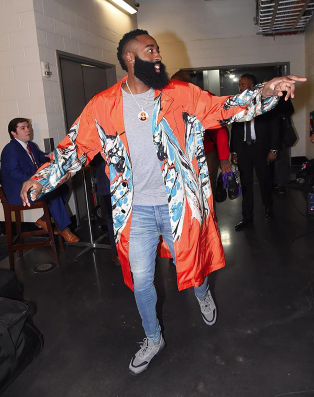 If you’re looking to pair your favorite denim and shirt with a jacket or windbreaker, the new Louis Vuitton collection features intricate vibrant patterns that let your outfit stand out from the rest. Streetwear is made for the on-the-go person but no one said it had to be boring. Show off your personality through patches – whether it be of your favorite team, band, city or drink.